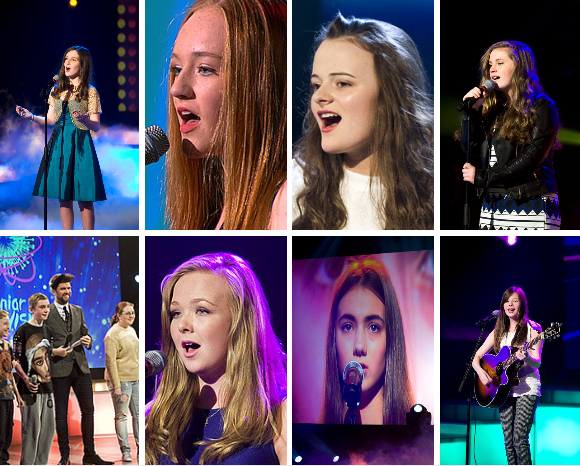 Time for Heat 2 in Ireland’s Junior Eurovision Song Contest search. Sunday October 18th sees another 8 contestants compete for 1 place in the Grand Final on November 8th. Each of the contestants will perform their song for the 3 judges and a live audience. The judges will then select the Top 2 acts who they will then select to go through to the Grand Final. You will be in the hands of Irish presenter Eoin McDermott. Stay tuned for all the news behind the scenes as Ireland looks for their first Junior Eurovision contestant. Throughout the Show make sure to get involved and have your say. You can tweet us using @eurovisionirela #Discover #JESCEire. You were great last Sunday and we had many people tweeting us during the show. So get involved this weekend with us.